Returning to Valdez from Growler Island, we then drove north on the Richardson Highway. 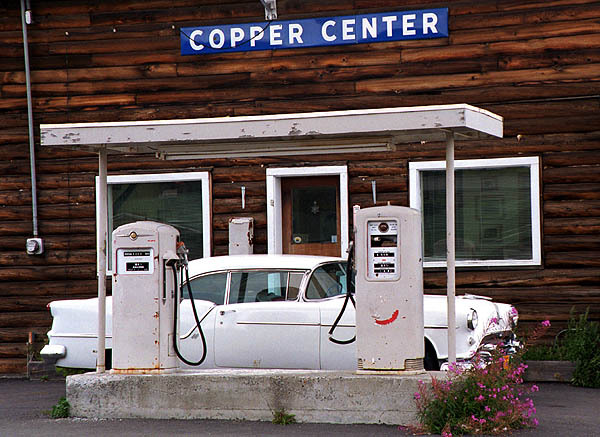 We stopped overnight at the historic Copper Center roadhouse. Across the street was this garage with some history of its own.